Unusual , but of I thought would be of interest. 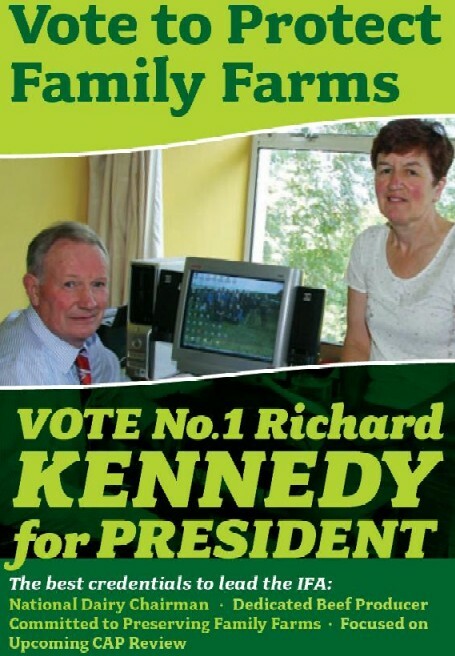 A leaflet from Richard Kennedy running in the 2009 election for President of the Irish Farmers Association. 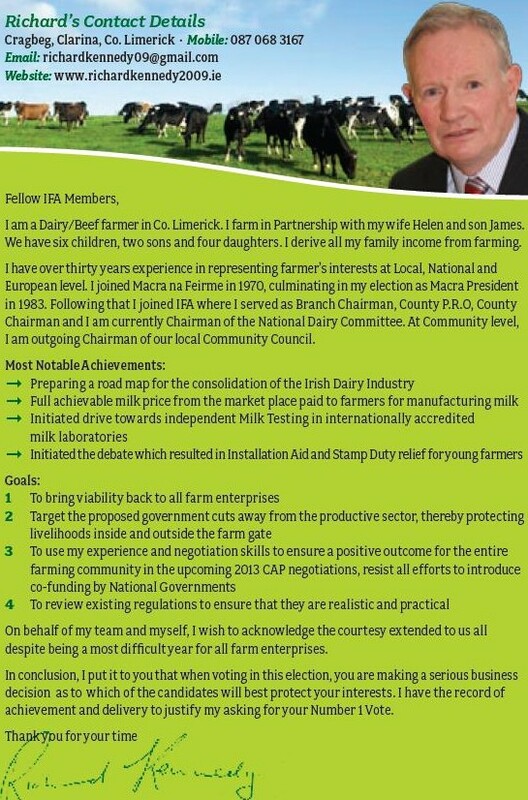 Kennedys leaflet is focused in the main on the issues affecting Dairy Farmers. (I dont know if there were specific leaflets for specific sectors). The winner of the contest John Bryan was (I’m told) focused on the import of Brazilian Beef.